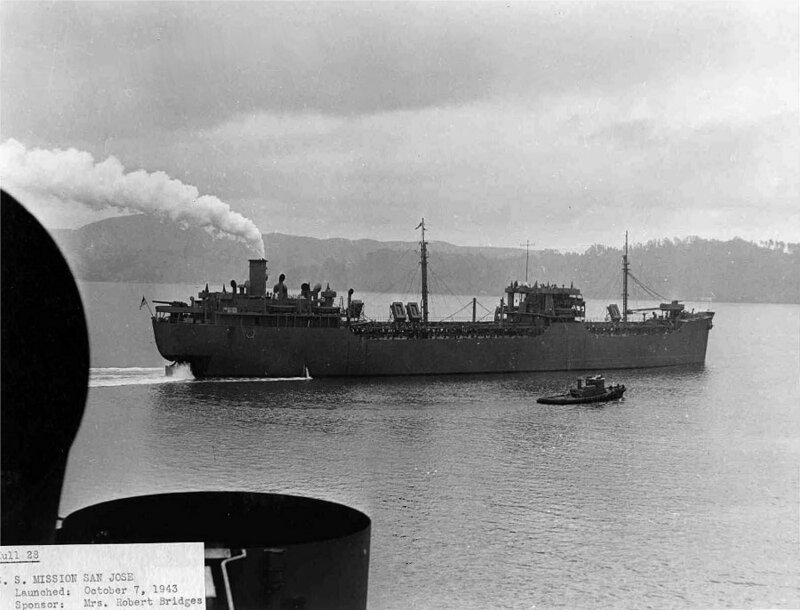 ↑SS Mission San Jose under way in San Francisco Bay probably during builders trials, circa January 1944. US Maritime Administration photo by Marinship Corp., courtesy Auke Visser's Famous T-Tankers Pages. Image courtesy of NavSource.